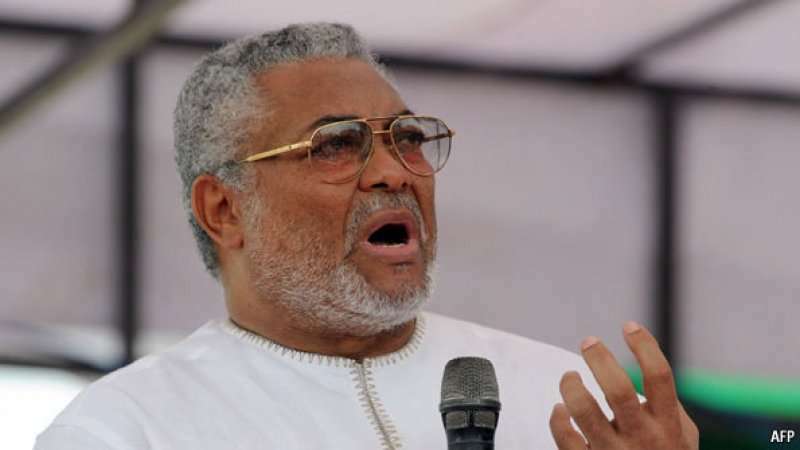 Founder of the National Democratic Congress (NDC), former President Jerry John Rawlings has paid tribute to late former Chairman of the party, Alhaji Issifu Ali for his level of integrity. The former President said: “People like him (Issifu Ali) will have a red-carpet treatment to heaven. Ali was a man of integrity. Let’s not allow people of integrity and moral authority to fade out,” the former President said. Speaking during the final funeral rites – Adua – of Alhaji Issifu Ali, a former co-Chairman of the NDC at the deceased’s residence at Tesano on Thursday, the former President said without the level of integrity of the likes of Issifu Ali, his co-Chairman, A. A. Munufie and Alhaji Iddrisu Mahama, they would not have achieved so much for the party and the country. Flt Lt Rawlings called on the National Chief Imam, Sheikh Nuhu Sharabutu who was present at the ceremony and the Islamic community to pray for the restoration of the core principles of the NDC. Alhaji Issifu Ali who died on Tuesday was the first co-Chairman of the NDC alongside the late A. A. Munufie. Until his demise he was a member of the party’s Council of Elders. National Chief Imam, Sheikh Nuhu Sharabutu also used the occasion to commend former President Rawlings for his incredible contributions towards national development, peace and security and asked for God’s blessings upon his life. The ceremony was attended by leading members of the NDC, including Alhaji Iddrisu Mahama, Mr. Kofi Attoh and Deputy General Secretary Peter Otukonor.